Building plan tutorial or guide helps you better understand building plan so that you can make full use of it for good purpose. Making a building plan can be a wonderful journey of self-discovery and creativity. Building designers understands how exciting it is to build a new building. Enjoy the process of making a building plan with the help of building plan maker which offers you lots of building plan examples. Building plan tutorial is here to help ensure you get off to a perfect start! Building plans are a graphical representation of what a building will look like after construction. 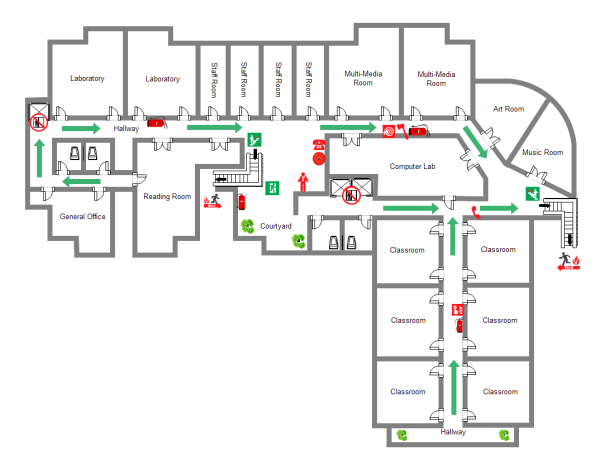 It is a scale diagram of a building drawn as if seen from above. Building plan is a drawing to scale, showing a view from above, of the relationships between rooms, spaces and other physical features at one level of a structure. Designing a building yourself is quite possibly the most exciting and rewarding endeavor for anyone to undertake. The building you designed yourself will surely have a long-lasting beauty in your own heart. Now let's get started with the perfect building plan. Many people have no idea about what exactly should do at each building phase, now we are very delighted to offer you suggestions at different building phases. Foundation: The foundation of a building is a critical element in the building process because it is what holds up the entire structure. Constructed correctly it prevents future problems that can affect the building's safety and efficiency. After the ground is excavated, forms will be built with framing lumber (you can clean and reuse for framing) and then concrete is poured into each section. Framing: After the foundation is poured and set, the form boards are removed and framing of the house begins. Just as much as our skeleton serves as the structure for our bodies, the frame of a building is the underlying structure of the building. As the framing progresses, you will see the layout of the building unfold, and you'll be able to identify different rooms, doorways, and windows. Inspections & Frame Walk: Inspections are a very important part of the building construction process and ensures that every element of construction is done correctly. After the initial inspections, your builder will ask you to walk through your the building. At this point you can visualize what your dream building will look like since the walls and trusses will be framed and the roof sheathing will be installed. Enclosing Building: Once framing has passed inspection, your builder will begin enclosing the building and install exterior sheathing, shingles, the roofing system and the windows and doors. Since windows and doors are one of the most visible features of the building inside and out, you'll want to carefully select the perfect doors and windows. Make sure your windows have the performance, durability and energy efficiency that your geographical location warrants. The following are a complete introduction of the building sequence. 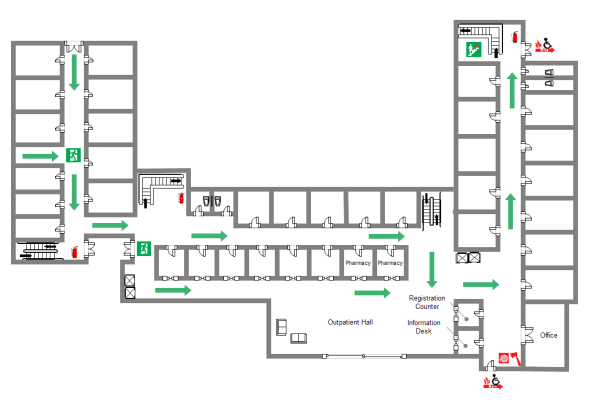 We hope it will be of great help to you when you make your own building plan. First, stake out the house in preparation for the excavating as well as utilities and a temporary driveway if needed. Then remove any trees, bushes or debris as necessary from the homebuilding site. Have the excavator cut down the grade if required. Tips: verify when your excavator will complete digging the basement and arrange for the footings and foundation walls to be poured immediately after. Forms for footings must be inspected before pouring. If you leave the empty hole standing, it will invariably cave in and you will have to start over. Once the footings and foundation walls have been poured, install any steel beams required in the basement, install drain tile and apply waterproofing to the exterior of the walls. Moreover, begin drilling the well maintaining the distance from the septic system that code dictates. Tips: allow 28 days for the concrete to cure and then backfill. If you do not want to wait for the concrete to fully cure you should install the first floor framing, including sub-floor, before backfilling to brace the walls and keep them from cracking under the pressure. Secondly, frame the floors, walls, ceilings and roof, including the 3/4" sub-flooring and the wall and roof sheathing at this time. Install the roofing and then house wrap, followed by the soffit and fascia. Build any masonry chimneys and fireplaces at the same time. Tips: heat ducts should be installed immediately after the rough plumbing. The same contractor may also install the gutters at this point. Finally, rough in the electric. Once the roof is on, windows in, rough plumbing done, and inspected, with sewer and water lines run into the basement you can pour the concrete basement and garage floors. Also any concrete stoops or A/C pads required. Tips: Do not forget all rough inspections must be complete before you cover any interior walls. Finish plumbing, electrical, install furnace and A/C. and hook up telephone service. 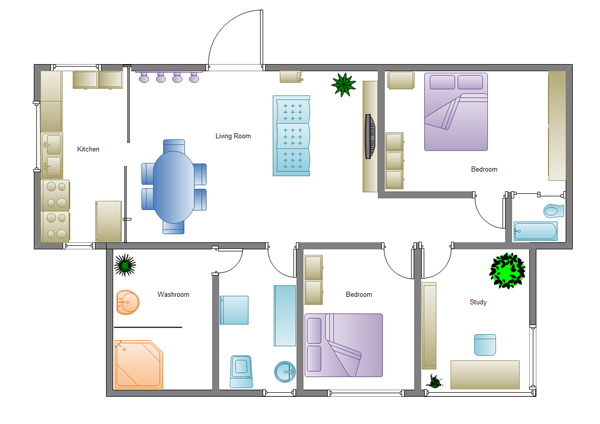 Before you start to draw a building plan, you may check out how to draw floor plan here. We believed that passage will be of great help when drawing building plans.